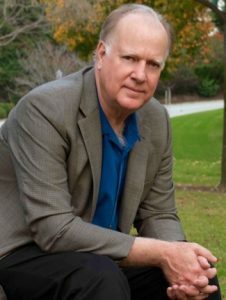 James Scott Bell is a winner of the International Thriller Writers Award for his novel, Romeo’s Way , and the #1 bestselling author of books on the craft of writing. Jim attended the University of California, Santa Barbara where he studied writing with Raymond Carver . He graduated with honors from the University of Southern California law school and has written over 300 articles and several books for the legal profession. He has taught novel writing at Pepperdine University and numerous conferences in the United States, Canada and Great Britain. A former trial lawyer, Jim now writes and speaks full time. He lives in Los Angeles. He blogs every Sunday at The Kill Zone. I discovered James Scott Bell through his non-fiction work first, How to Write Pulp Fiction and Write Your Novel From the Middle . I highly recommend both those books and Jim has more craft books . He also has video courses and more resources in the writer’s section of his website. The Cher/Nicolas Cage movie Moonstruck influenced Jim to give fiction writing another try so I was curious to read this screenplay which I found on Amazon. International Thriller Writer’s Association. Jim’s novel, Romeo’s Way won the 2017 ITW Best E-Book Original Novel. I’m participating in the BookSweeps Promotion. 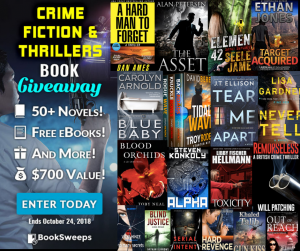 Enter to win 50+ mystery/thriller novels (including my thriller, The Asset ) and an e-reader. More info here. Correction: during the podcast intro I mistakenly said the book giveaway runs until October 25 it actually ends on the 24th. My apologies for the error.